Why #DoctorWho needs a science advisor! There is probably no one in the science geek/nerd community who has not heard of Doctor Who, even if they can’t recite the names of all 13 actors who have played a regenerating incarnation of the Doctor (I’m including the awesome John Hurt in this list), or don’t own an exceedingly long, multi-colored scarf. Doctor Who is the longest running science fiction TV show in the world (first airing in 1963) and consistently gains peak viewing figures in the UK, and has a substantial number of viewers around the world. It’s the British equivalent of Star Trek, although instead of phasers the Doctor has a sonic screwdriver – which is basically the science/engineering equivalent of a magic wand. Also there is distinctly less snogging of aliens and gratuitous bare-chested scenes in Doctor Who compared to Star Trek. I’ve watched Doctor Who almost religiously since 1974, and as a youngster owned a complete set of Doctor Who novelizations, decades of annuals and a subscription to the magazine. I’m a dyed in the multi-colored wool Whovian (as fans are called). The latest Doctor (played by Peter Capaldi) has been a polarizing figure in the Whoniverse – some love his grumpy alien take on the character of the Doctor, others hate him. As someone who has seen many of the episodes of the series going back to those in the 1960s, I love the new characterization – Capaldi plays the Doctor much more like Jon Pertwee (3rd Doctor), or sometimes like Tom Baker (4th Doctor)/Colin Baker (6th Doctor) – and most tellingly like John Hurt (the War Doctor). I also really like the topics covered by many of the episodes of the new series: they deal with ethics and moral issues, and as such are very much like the “morality play” concept that was the idea behind many of the plots of Star Trek (especially the Original Series, the Next Generation and Deep Space Nine – the least said about Star Trek: Enterprise the better!). BUT … and this is a big but (and I hate big buts, I cannot lie), the current series has had a shocking disregard for science. Much popular science fiction is not terribly accurate as far as science goes (sound in space*; single ecosystem planets; the ubiquitous humanoid bipedal aliens that speak English with an American accent), including many episodes of Doctor Who (the Tardis itself defies any known principles of physics). However, I think the bad science is even more egregious in the current season, as the episodes are more plot- and character-driven. In the episode “Kill the Moon,” the Earth is facing catastrophe because inexplicably the moon is increasing in mass and as a result intense tides are causing natural disasters. Whilst exploring the moon, the Doctor and his companions are attacked by web-producing, spider-like creatures, which apparently are able to survive without oxygen on the surface of the moon. These are revealed to be giant, single cellular “germs” and dispatched with a quick spray of disinfectant despite the creatures being the size of German shepherds. I don’t even know where to start on the biological absurdity of all this. At the end of the episode the moon is destroyed because it turns out that it’s an egg for some sort of giant space dragon (which again doesn’t seem to require air, but can fly in space by flapping its wings). However, the Earth is saved because the space dragon instantly lays an egg (apparently parthenogenically) that is the exact same size and mass of the original moon, and the tides go back to normal (although the mass of the adjacent giant space dragon seems to have no effect on tides). Space dragons are, apparently, like kiwis in that they can lay an egg almost the same size as their body (a kiwi’s egg is still only 20% of her body mass, though). As Phil Plait notes in a podcast for Slate “The science mistakes were so egregious and so obvious that they kept pulling me right out of the story. A lot of the mistakes were fixable with a simple Google search.” The term “not-so-science fiction” is a rather sad description of this particular episode. The episode “In the Forest of the Night” is just as bad. With a gigantic solar flare heading towards Earth, overnight massive forests appear around the world. These forests then produce a shield of oxygen, of such magnitude that it acts as a shield against the solar flare. Then the trees disintegrate (except the trees that were there the day before the sudden forest), leaving everyone magically unaffected by the plasma and radiation that have bathed the Earth. Seriously?! Has the writer never taken a science class? What particularly annoyed me was the Doctor questioning whether plants could communicate, which of course they do, via emitted chemicals, and this was discovered some 30 years ago. In fact I was taught about this at secondary school when I lived in the UK. 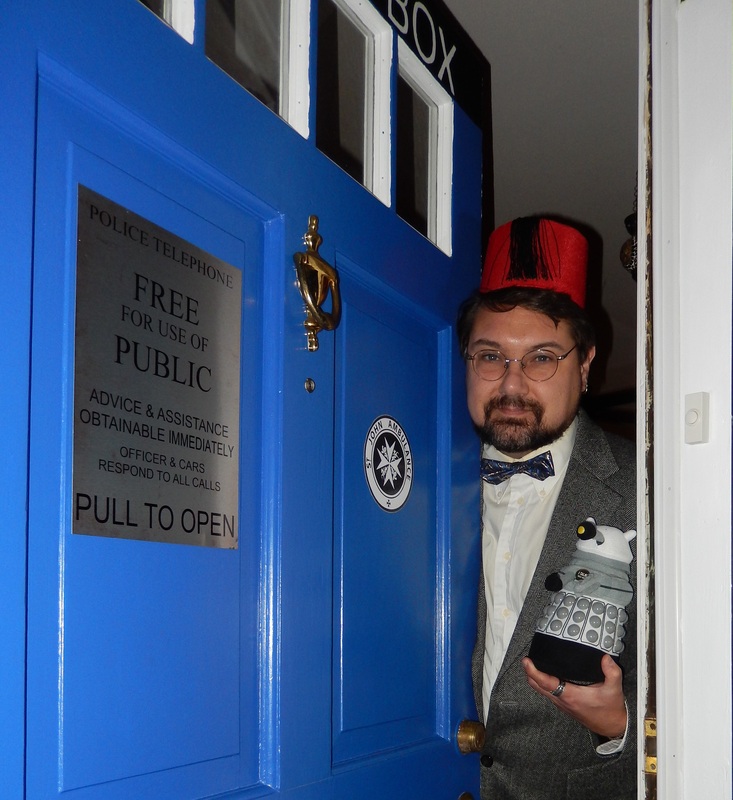 Many Doctor Who fans are geeks/nerds – they know their science! The increasing amount of painfully bad science is really starting to annoy. The UK is full of scientists who would be more than willing to give their advice to Doctor Who writers for free, just to have been involved in this sci-fi institution. Another sci-fi institution in the UK is the author Terry Pratchett. He has bemoaned the poor science on Doctor Who, and has set an example by popularizing high quality science by co-authoring the Science of the Diskworld series of books (with Ian Stewart and Jack Cohen). These are a fantastic series of books that deal with cosmology, relativity, gravity and evolution, amongst other scientific principles. When Doctor Who originally aired it was intended to be a fun, but primarily educational show, with the characters travelling in time to showcase different historical periods and provide historical “stealth education”. Just think of the benefits to science education around the world if BBC actually did have accurate science in this iconic series. *The wonderful series Firefly excluded. Addendum: I just got sent this article on Doctor Who stories based on science . Many of these stories were in the glory days of Tom Baker (the Doctor that I largely grew up with in the 1970s), but also many of these episodes are amongst some of the most memorable (e.g. the fantastic “Blink” and “Empty child”). Part of why so many episodes in the 1970s were based on science might have been because of the script editor being an ex-science journalist. But, there were also many good, scientifically-literate writers for the show during the Tom Baker years – such as the late, great Douglas Adams. It really would be a good idea for the BBC to employ a science editor to check and edit drafts of scripts. Or even to have workshops with scientists and writers to brain storm ideas for threats and plots that are based on, and educate about science. Many of the commentators in the linked article note the dreadful grip of scientific principles in “Kill the Moon”, the episode I highlighted above. It really is a dreadful low in science content for the series. I don’t particularly want to be That Guy, but your count of people playing the Doctor is low: discounting stunt doubles, stage adaptations, audiobooks the Dream Lord (as that was a manifestation of the Doctor’s self-loathing and took place inside a shared dream state: didn’t physically exist) and parodies, 20 people have played him. In addition to the 13 principle actors (and yes, I am definitely including John Hurt’s War Doctor), there have been Peter Cushing (in two 1960s films) and Richard Hurndall (in The Five Doctors) (ok, and for completeness’ sake, the voice of John Guilor, but I’m not adding him to the count) portraying Hartnell’s 1st Doctor; Adrian Gibbs playing the Watcher (a mysterious future incarnation of the Doctor providing clues) in Logopolis and the first episode of Castrovalva; and two people playing the Valeyard (Michael Jayston and Geoffrey Hughes), another future incarnation, this time evil, that is set to potentially recur before the Doctor finally dies. Oh, and Richard E. Grant voiced a (superseded) 9th Doctor in the now non-canon Scream of the Shalka webcast. I agree whole-heartedly with you regarding the fact that the show would seriously benefit from the addition of a science writer to the production team, but I feel it is worth remembering that many shows/films guilty of errors almost as egregious as those in Kill The Moon have had at least one professional acting as a science editor to the scripts (Star Trek: The Motion Picture springs to mind). They can be over-ruled. Not such a problem if doing so creates good story telling, but equally often it seems like it is done in the name of laziness on the part of screenwriters.